This entry was posted in Mental Health and tagged Help, Process Addiction on June 2, 2016 by Team Addiction Hope. A gambling habit, like drug and alcohol abuse, can quickly develop into a powerful addiction. Sure, it may start out as harmless fun, or an exciting way to pass a few hours in the evening, but the allure of the action-packed casino environment and the looming promise of a big win can lead to overlooking exactly how much you are losing. These losses aren’t just financial. Gambling addicts risk losing their family, friendships and self-respect. Let’s take a closer look at some of the ways people might feel like they’re winning at gambling when, in reality, they’re losing. It’s easy to understand why people can become so attached to the thrilling environment of casinos and other gambling institutions. Compared to the humdrum monotony of day-to-day life, gambling can seem like an escape into a world of fantasy. Casino owners know this well, and they use a number of tricks to play into this idealized image. Casinos will very often provide free food and drinks to people while they are gambling. It’s a pretty clever move on the part of the casino owners. After all, someone could easily lose $100 in the time it takes for them to eat a $10 dollar meal. And by providing a steady stream of alcohol, casino employees can lower the inhibitions of the gambler, making it more likely for them to overlook the fact they’ve spent way more money playing a slot machine than they had intended. Another common trick is to overwhelm the gambler’s senses. 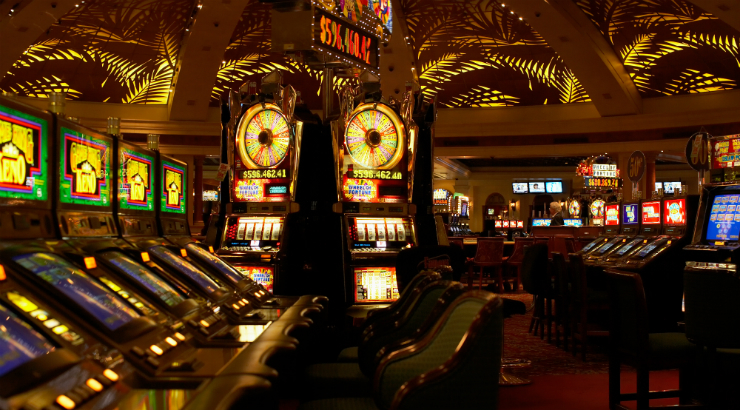 The inside of a casino is almost always filled with bright flashing lights and the ringing sounds of jackpots. Stepping onto the gambling floor is like walking into a huge party, complete with attractive cocktail waitresses and hypnotizing music. This exciting environment is designed to give the gambler the impression that people are winning all around them, and that their next big payday is right around the corner. Casino owners know that the most powerful tool for keeping gamblers glued to their seat at the slot machine is the occasional small win and near-jackpot. The brief flash of excitement after scoring a $20 payout will override the memory of spending $100 to record a win. It’s a well-understood psychological phenomenon that people tend to celebrate their victories and downplay their losses. Letting a gambler win the occasional silver will have them believing that gold is within reach, and that they’ve just got to play a little bit longer to win it all. After addiction to betting money has taken hold, it can be incredibly difficult to stop and assess just how much the gambler is really losing. Obviously, the first thing that comes to mind is money. Over the course of their gambling career, only a tiny fraction of gamblers come out ahead, and many end up in a state of financial ruin. Moreover, there are other losses to consider as well. Compulsive gambling can put a serious strain on a person’s relationships with loved ones. Whether it’s missing important life events or constantly borrowing money, a compulsive gambler’s behavior is likely harming the people he or she loves most. If you or someone you care for has an unhealthy relationship with gambling, know that there are a number of ways you can end the cycle of addiction. Learning how to talk to a loved one about gambling addiction is a great first step in addressing the problem. And If you believe that you are a gambling addict, you can seek help from dedicated addiction specialist to address the root causes of your addiction.